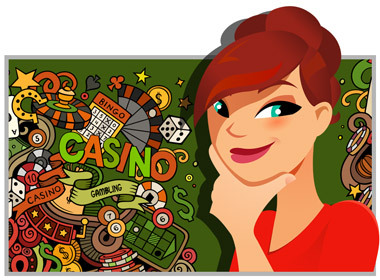 What’s the Fun in Free Social Casino Games? Why Pay to Play Free Games? The question itself sounds like a joke. Why pay to play free games? Don’t be silly! If the game is free, then the game is free, and nobody’s going to pay to play. Right? Well, not exactly right. In fact, people do pay to play free social casino games, and we’re talking here about sane, intelligent, rational people who have sane intelligent rational reasons for the decisions they make. And as we delve a little deeper into our question – why pay to play free social casino games – we will learn some really fascinating insights into human psychology, human motivation, and the very human quest to have fun. Before we even get to social casino games, let’s start with the fundamental question: What is money, and why do we spend it? Why, in fact, do we pay for anything at all? The answer, at least in part, is obvious. We pay for the things we need. Poets and songwriters and young lovers with their heads in the clouds might tell you the best things in life are free; those of us who dwell in the real world are here to tell you that the important things in life cost money. You want food to eat? That costs money. You want a house or an apartment to live in? That costs money too. These are the necessities of life, and they all cost money: food and shelter and clothing and health care and education for the kids. An umbrella when it’s raining; a warm coat in the winter; a cold lemonade in the summer. Nobody has any qualms about spending money when we’re talking about necessities. Once the necessities have been taken care of, it’s time to turn our attention to what the economists call Discretionary Spending and the rest of us call Fun. Of course, fun can be free. A walk in the park can be fun. A jog in the park can be even more fun (or less fun, depending on your point of view). Watching television or reading a book or chatting with a friend can be fun. Playing ping pong with your friend can also be fun. The thing about fun is that it can’t be defined and it can’t be explained. It is an entirely subjective experience that either is or isn’t. What is great fun for one person can be unbearable torture to another. What does “a night at the opera” mean to you? Remember the Beatles song “She’s Leaving Home”? Remember the line near the end: “Fun is the one thing that money can’t buy”? Well, there is a lot of truth in that line, but it is not 100 percent true. Maybe money can’t buy fun, but it can certainly enhance your fun, and that’s just as important. If you think jogging in the park is fun, jogging in the park with a good top-of-the-line pair of running shoes is even more fun. They’ll make your shins feel better, they’ll make your knees feel better, they’ll empower you to run faster and further. And that all adds up to more fun. And when it starts to rain, you’re going to want to get out of the park and run indoors. That means joining a gym, and that means spending even more money for more everyday rain-or-shine jogging fun. But suppose your idea of fun isn’t jogging, it’s skiing. Now we’re talking money. A good pair of skis costs money; if you’re a beginner you’ll want to take skiing lessons and that costs money; and travelling to a good skiing location like Colorado or Switzerland and paying for food and lodging as well as the actual skiing expenses costs a bundle of money. And so, notwithstanding our love, bordering on reverence, for the Beatles, it is clear that having fun often—not always, but often—requires spending money. That is just a reality of life in the world as we know it. How much money you can legitimately spend on fun depends on two things: what you can afford and what you are getting for your money. The first rule is inviolable: Necessities come first. That means food, shelter, clothing. It means being a good citizen and paying your taxes. If your son needs new shoes on his feet or your daughter needs braces on her teeth, those needs take priority. Only the money that’s left over—your discretionary resources—can be used for fun. Of course, the amount of discretionary resources available varies widely between individuals. For some people, spending thousands of dollars on a skiing vacation in the French Alps is no problem at all. For other people, a night out at the movies—complete with popcorn and a soda—might be all the fun they can afford. The important thing is to know your individual limits, based on your income and wealth levels, and sticking to them. The second criterion to look at is: How much fun is my fun? How much pleasure is it really giving me? This is a totally subjective measure. Playing 18 holes of golf might be enormous fun for one person, a small amount of fun for a second, and no fun at all for a third. And yet, despite the impossibility of quantifying fun, it is important to quantify your fun and determine if you are getting your money’s worth. In other words, to somehow decide that this fun activity is giving me X dollars’ worth of pleasure. It doesn’t make sense to spend $100 for $50 worth of pleasure; it does make sense to spend $100 for $100 worth of pleasure. That’s what you have to think about when you decide when and where and how to spend your discretionary resources. The cheapest tickets to the Super Bowl, the ones way up in the stratospheric levels of the stadium, cost about $3,000. Since nobody wants to go to the Super Bowl alone, that means around $6,000 for a pair of tickets, plus transportation to the site, hotel, restaurants, etc. Is it worth it? Certainly! If (A) you have enough money to afford attending the Super Bowl from your discretionary resources, and (B) you expect to derive $10,000 worth of pleasure from watching a world championship football game along with all the ancillary entertainment events attached to it, then it is certainly worth it. If not, not. If that sounds like a lot of qualifications to meet—well, welcome to the real world. But the important thing is that once you have met all the conditions, you are perfectly free to spend your money and your time having fun in whatever way appeals to you. And nobody can say a word about it. That’s right: nobody. Not the politicians, not your nosy neighbors, not the newspaper journalists, not the psychology gurus. It ain’t nobody’s business but your own. 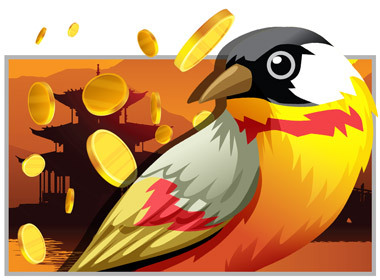 Now is the time to tell about the bird in the park in Beijing. There is a certain park in Beijing in which various people try to make money from the tourists and the passers-by, as people will do in parks all over the world. In this particular park, there are talented musicians and talented jugglers and talented acrobats, and they all get by with a few coins tossed into their collection baskets now and then over the course of a day. And then there is the guy who neither dances nor sings nor juggles. His only talent is to stand around and watch his basket fill up with coins. How does he do it? Well, you see, the guy owns a little bird. And if you hold a coin in the palm of your hand, the bird will come and pick up the coin in its beak and fly off and drop it in the guy’s basket. And people love that! They love it so much that they wait in line until the busy little bird gets around to taking their coins and flying off with them. And here’s the point of the story. If somebody were to try to instruct you that you should be giving your money to the very talented violinist or the very talented tap-dancer and not to the no-talent guy who does nothing but stand around and watch his basket fill up with coins, feel free to tell him: Ain’t nobody’s business but my own. End of story. So now—duly equipped with an understanding of the relationship between money, fun, value, and individual autonomy—we return to our original question: Why pay to play free games? It’s a good and legitimate and very interesting question. So let’s start with the fundamentals and ask : What are free games? Specifically, what are free social casino games, and why do people play them? Of course, there are all kinds of free games on the internet. Games like FarmVille and Angry Birds are immensely popular. But great at those games are, that is not what we are talking about here. 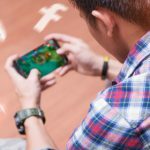 We are talking about social casino games, which means free games you can play on your computer or mobile device that resemble the gambling games that are typically played in casinos. The most popular social casino games are the slot machines, followed by poker, roulette, blackjack, and keno. Social casino games are usually played on a social media platform like Facebook—that’s what puts the “social” element in social casino games. And why do people play free social casino games? Same reason people play golf or ping pong or backgammon: because they find them to be fun. They are not for everybody—there is nothing in the world that appeals to everybody—but hundreds of millions of people derive pleasure from playing free social casino games. That includes men and women, younger people and older people, people living in tiny villages and big cities all over the world, and people from all different income levels and educational levels. 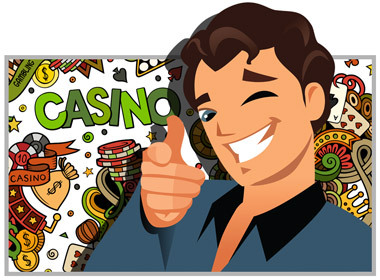 What they all have in common is that they enjoy playing free social casino games. And why not? There is certainly a lot to love. The free social casino slot machines, for example, are colorful and exciting. They feature all kinds of themes, from sports to intergalactic space travel to ancient civilizations to movies and romance. They have exciting special features like multiple paylines and scatter symbols and wild symbols and bonus games. They have incredible graphics with video animation and sensational sound effects and musical scores. And the Social element makes playing social casino games even more fun. Score a big win, and the news goes out to all your friends. Complete a challenge, or move up a level, or win a contest, and the news goes out. And needless to say, news travels in all directions. If your friends score a big win or complete a challenge or move up a level or win a contest, the news will come to you and you can all celebrate together. You can even exchange gifts with your friends through the social casino, and that is really the true meaning of Social and the true meaning of Friend. 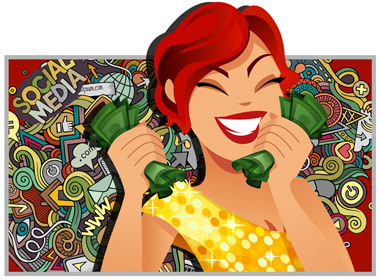 Playing free social casino games is like taking a walk in the park with your closest friends. It’s free, it’s fun, it’s beautiful, and you can have a wonderful time. But if you’re willing to spend some money, you can have an even better time. More coins. Yes, the social casino will start you off with a big stash of free coins and it will keep giving you additional free coins at regular intervals, but by purchasing you can get a lot more coins and you can get them a lot quicker. Level ups. Rising up to a higher level unlocks more fun games to play. You can advance up the levels at your own pace with free play, or you can do it a lot faster with purchased Level Ups. Early Bird Specials: exclusive access to new slot machines before they are released to the public. Lot’s more, since every social casino site has its own special and unique bonus features available for purchase. So that explains it. “Why do people pay to play free games” sounds like a silly question, but it’s not. And the answer is not complicated. People pay because they are getting something for their money. It’s not something tangible that they can sell on the open market, but something even more valuable. Fun, enjoyment, pleasure, excitement: it goes by many names, and it means different things to different people, but it is, in essence, an intensely positive experience of well-being that everybody craves and that everybody, in one way or another, pays for. Having understood, in a theoretical sense, the reasons why millions of sane, rational, intelligent people pay to play free games, the next logical step is to join a social casino and see for yourself. Or, better yet, since the social casinos are free to join, go all out and join a few of them so you can compare and contrast their offerings and see which you like best. At all of the social casinos, you are likely to find great games with superb HD graphics and sound, smooth game play, exciting special features, and favorable odds of winning. You are also likely to find unique contests, promotions, challenges, bonuses, rewards, gifts, loyalty clubs, and all kinds of added attractions. So take your time and enjoy! Enjoy the games: try them all and pick your favorites. And enjoy all the other attractions of the casino: delve into them and explore what they are and how they work and what intangible rewards of pleasure they offer. And then, finally, feel free to decide for yourself if you want to take the next step and invest some real money on more fun, more excitement, and more attractions than what the social casino already offers for free. Just remember: the decision—to spend or not to spend—is entirely up to you. If it feels good, do it!